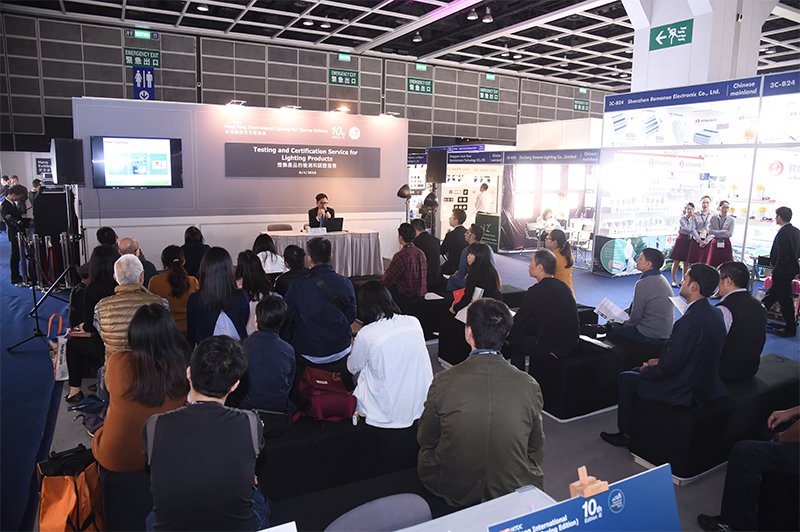 The Hong Kong International Lighting Fair (Spring Edition) celebrates its 11th show this year, April 6-9, with lighting and accessories exhibitors from more than nine countries and regions. 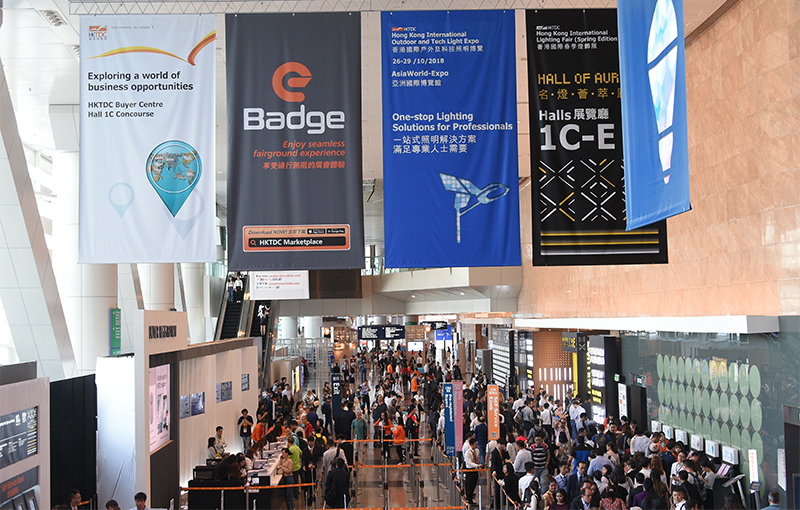 The HKTDC Hong Kong International Lighting Fair (Spring Edition) will take place from April 6 to 9 at the Hong Kong Convention and Exhibition Center. 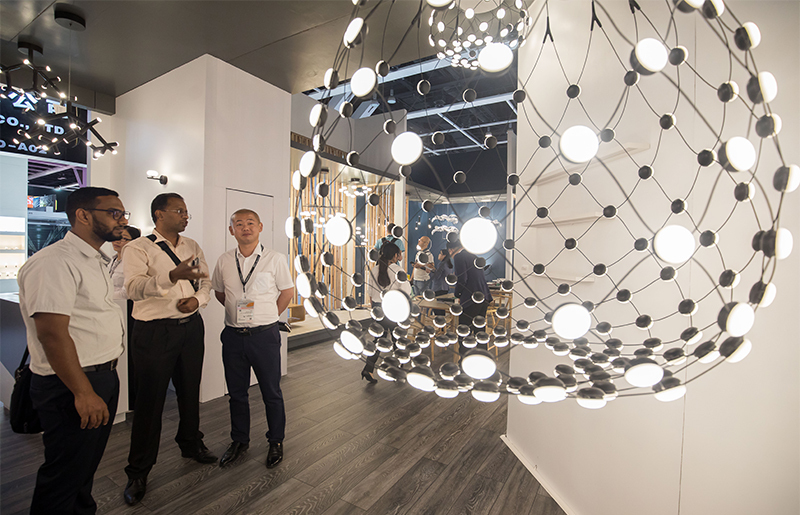 More than 1,400 exhibitors from nine countries and regions are expected at this year’s fair, offering global buyers an exclusive sourcing platform for all finished lighting products, parts and accessories. Last year, the fair welcomed close to 21,000 buyers from 137 countries and regions. Building Future with Environmental and Smart Lighting HKTDC Research revealed that Hong Kong’s total exports of lighting products accounted for HKD89 billion in 2018, the majority of which were exported to the US (35%), the EU (21.2%), and Mainland China (15.7%). As for product trends, the DIY lighting market is booming, particularly in North America and Western Europe. Decorative: Track lights, linear lights, spotlights of novelty designs, are trending. Energy Efficient: Higher energy efficiency and longer lifetime lighting products are also on the upswing this year. Many countries, including Australia, the EU, the US and the Chinese mainland, have phased out imports and sales of most incandescent light bulbs, creating even more demand for energy-efficient items such as integrated electronic compact fluorescent lamps, LED lamps and lighting. Smart Home: Smart living style, including smart lighting systems and the technology to connect different devices and appliances at home, and through mobile devices is of interest to consumers. Innobuild, a brand-new Thematic Zone designed for the smart living trend, will be presented in the fair. It introduces a groundbreaking initiative for building technology, showcasing practical construction tools, as well as smart and green building materials and hardware. The Hall of Aurora will continue to be the spotlight of the fair, showcasing eye-catching and forward-looking quality lighting products and technology from approximately 200 top-notch brands around the world. Leading brands include MLS, MOSO Electronics and SKY-LIGHTING. Another highlight of the fair is the Smart Lighting & Solutions Zone, which will return to showcase advanced lighting systems, remote control and smart lighting solutions, with a special focus on “IoT Lighting Supply Chain” organized by the Shanghai Pudong Intelligent Lighting Association. The IoT Lighting Supply Chain will showcase innovative elements such as IoT platforms, artificial intelligence and smart lighting systems from industry leaders such as Tuya and Broadlink. The Horticultural Lighting Zone, launched last year, will return to showcase a wide range of grow lights and garden lights. The upcoming Spring Lighting Fair will continue to present a wide assortment of smart, energy-saving lighting products, systems and accessories in different specialty zones by their applications: Residential Lighting, Technical Lighting and Urban & Architectural Lighting, Advertising Display Lighting, Avenue of Chandeliers, Commercial Lighting, Decorative Lighting and Lighting Accessories. These thematic zones provide buyers with convenience in sourcing their targeted lighting products and meet their potential suppliers. With energy efficiency a significant trends in the global lighting industry, smart lighting technology with significant energy saving is in the limelight this spring. DIMON Technology Limited (Booth no. : 1C-F02) will introduce its NANO lighting control system specially designed in the UK (England). This controller uses open and interoperable ZigBee® standards-based technology—the NANO communicates with standards compliant sensors, switches, ballasts and LED drivers to transform basic room controls into a completely wireless control solution with an IOT OS System. This system delivers significant energy savings and operational improvements in a simpler, more cost-effective way. Shanghai Shuncom Smart Technology Company Limited (Booth no. : 1C-F20) will bring its smart light pole with smart city management system to this metropolitan fair. Smart Light pole integrates smart-city functions including street lighting control system, Wifi antenna base station, video monitoring management, advertising screen broadcast control system, real-time monitoring of urban environment with applications such as emergency call systems, water level monitoring, charging pile systems and manhole cover monitoring systems, making it a one-stop big data platform. The new zone, Innobuild, will feature innovative building materials offering alternative and creative home furniture and technology for better living style. Wedi building material from Ever Crown Engineering Limited is an example. Wedi is a revolutionary building material, which is imported from Germany, 100% waterproof, sturdy, lightweight and can be cut into any desirable size and shape. With its flexibility and special features, it is designed to provide quicker, lighter and more efficient solution in wet areas such as bathrooms or steam rooms. Aluminum furniture is a trend to watch at this market. Dali Town Participation from Foshan will feature advanced, innovative and eco-friendly applications of aluminum for interior and outdoor structures at Innobuild. Produced by Foshan PAKFEN Home Technology Co., Ltd., the aluminum furniture is durable, fireproof, waterproof and can be customized in different styles, colors and textures. The aluminum furniture can even be customized to look like wood. In addition to the broad spectrum of lighting products, a series of events will be held during the fair period to unveil industry trends and facilitate intellectual exchange among industry players. One of the events is the Asian Lighting Forum, which will be held on 6 April 2019 at the Stage in Hall 3C at the fairground. Co-organized by HKTDC, the Hong Kong Electronics & Technologies Association and The Hong Kong Institution of Engineers – Electronics Division, the Forum will cover the industry’s hottest topic, connected lighting, and will feature speakers from OSRAM, Signify, illumination Physics, Tridonic, LEDinside and more. Since smart lighting is the industry focus, another inspirational forum on Smart Lighting: IoT and Its Supply Chain will be held on 7 April 2019 in the same location. Ten speakers from the industry’s leading companies such as Arm, JD Cloud, Alibaba A.I. Labs, BroadLink, Gizwits and more will share their insights on this timely topic. This series of informative events will present enormous business opportunities to buyers and exhibitors. In addition, onsite social events such as a networking reception will be good platforms for meeting valuable business contacts. The HKDTC Hong Kong International Lighting Fair will host a robust educational seminar itinerary. The HKTDC Marketplace App introduces the new “e-Business Card” function, which facilitates the connection between buyers and exhibitors to make new real-time contacts by simply scanning the contact’s QR code. In addition, it allows users to use hashtags, note-taking and photo-taking functions to manage their contact lists. The App also features “e-Badge” giving buyers and exhibitors seamless access to the fairground. Other features include official fair catalogs and product magazines, event schedules, DIY photo upload, small orders management and more, making it a convenient mobile business platform. For more information on the HKTDC Hong Kong International Lighting Fair (Spring Edition), visit http://hklightingfairse.hktdc.com.